According to Nielsen SoundScan, "The Big Four: Live From Sofia, Bulgaria" has sold 78,000 copies in the United States since its early November release. 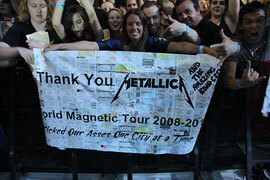 "World Magnetic tour" has come to its end 2008-2010. So how this journey began? Well the first show was back in October 21 - Glendale, AZ @ Jobing Arena, since then the band crossed 46 countries, 141 cities, ending today, November 21st @ Melbourne. 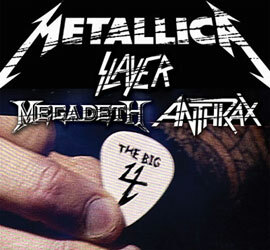 The band performed 78 different songs on this tour including the whole “Death Magnetic” album and not repeating a single set list in 178 shows. (oct 21, 08 – nov 21, 10). We want to thank you all metpage fans for coming down here and share your tour adventures and reviews of the shows. We look forward for a new album and a new tour sometime soon; meanwhile keep sharing your photo, reviews and bootlegs with our community of fans who share the same thing, the love for one band and the love for the live footage. "We know it's pretty nutty to announce a show almost a year in advance . . . certainly not something we've ever done before! 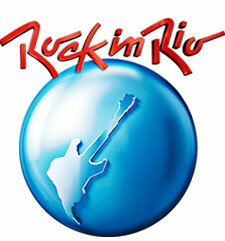 However, when we were asked to headline the original Rock in Rio, the one actually in Rio de Janeiro (!! ), we just couldn't say "no." After playing at other Rock in Rio festivals in Lisbon and Madrid years past, it seemed like it would make for a fun break from whatever (??!!) we might be doing a year from now. So we hope you'll dig up a 2011 calendar and mark off September 25, 2011 for a date with 'Tallica in Rio de Janeiro, Brazil. Tickets go on sale on November 19th, 2010 only at the Rock in Rio official website, RockInRio.com.br. Other points of sale will be available only after July, 1, 2011. "